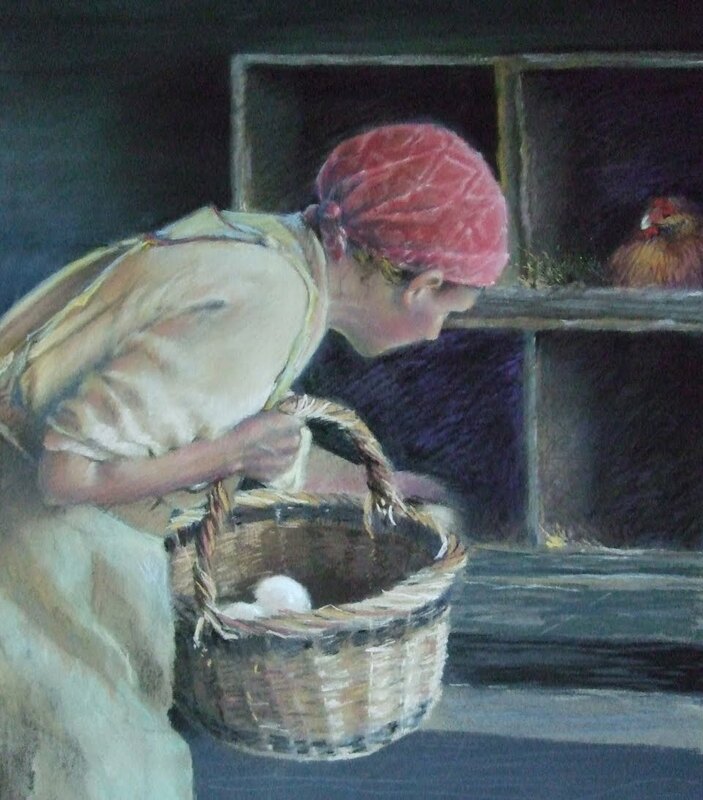 Well, I didn't get a chance to work on the Oil painting of the lady collecting eggs, mostly because its winter and I don't want to freeze in the garage where the painting is set up. 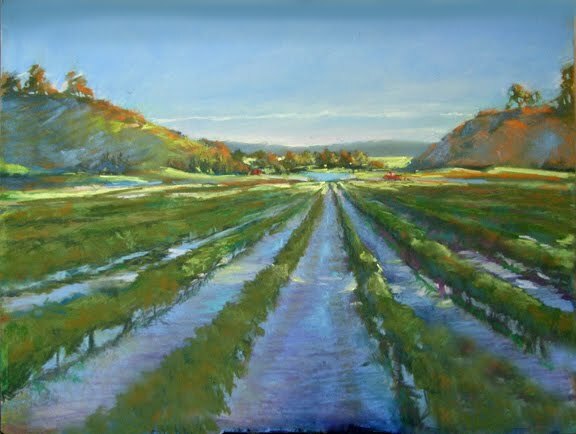 So I started a pastel, on a smaller scale, than the oil. Same subject. I can take it with me when I go painting with my friends on Thursdays. This is done on Ampersand board with pastels, a lot of pastel pencil, too.